The navigation bar at the very top of the page and the navigation panel at right are standard throughout the A-to-Z of Yeovil's History website but the History of Yeovil's Pubs section has its own navigation bar above to enable easy movement between the pubs pages and some special features lower down on this page. Having said that, all the pub pages are included in the A-to-Z listings in the panel at right. I'm sure you'll soon get the hang of it, in the meantime - enjoy. Cheers. See when the majority of Yeovil's pubs were open. How governments through history have tried to control our drinking. 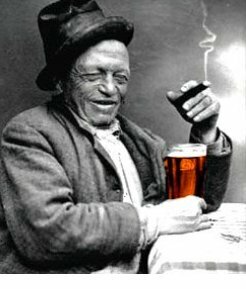 All those weird words used through history connected with pubs, beer & brewing. All the books and other sources consulted for the pubs section. See what the Press has to say about the pubs section. These are lists of pubs by licensee, premises, address or source - mainly for genealogists or just for interest. Click the appropriate button. Want to get back to the general history? If all else fails, hold your breath, think of England and then click the button below. Leslie Brooke discovered that the name 'Yeovil' had been recorded through history in 70 different ways. My favourite spelling is 'Evil'. In its time, Yeovil has had 135 pubs. During the 19th century there were rarely less than sixty pubs and up to forty beerhouses at any one time!